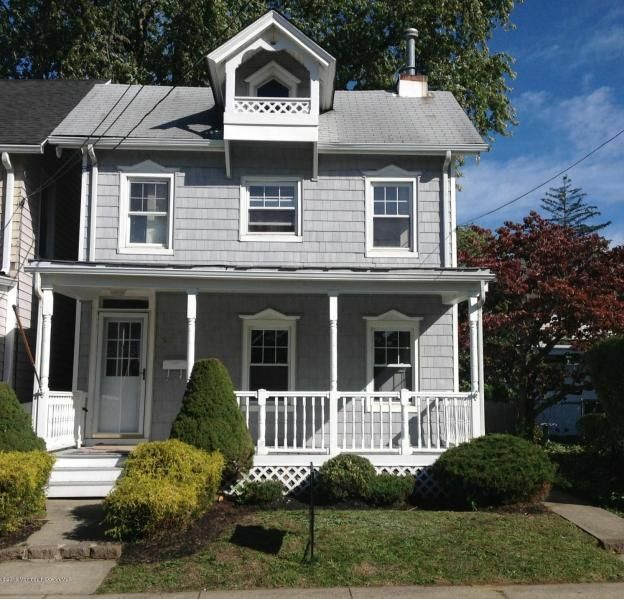 Rocking Chair Front Porch!This adorable Seashore Colonial is a great home for those who would rather walk to the waterfront and enjoy a sunset than stay home and spend endless time working on a house. New Kitchen with Stainless Steel Appliances, gas fireplace, 2 zone heat and A/C. **Not in a flood Zone** Come enjoy small town living, shop downtown, take advantage of the numerous Community events, or go for a bike ride along the water. All of this and still only 5 minutes to Garden State Parkway, Bus, and Train to NYC.